When will be The Doctors (1963) next episode air date? Is The Doctors (1963) renewed or cancelled? Where to countdown The Doctors (1963) air dates? Is The Doctors (1963) worth watching? 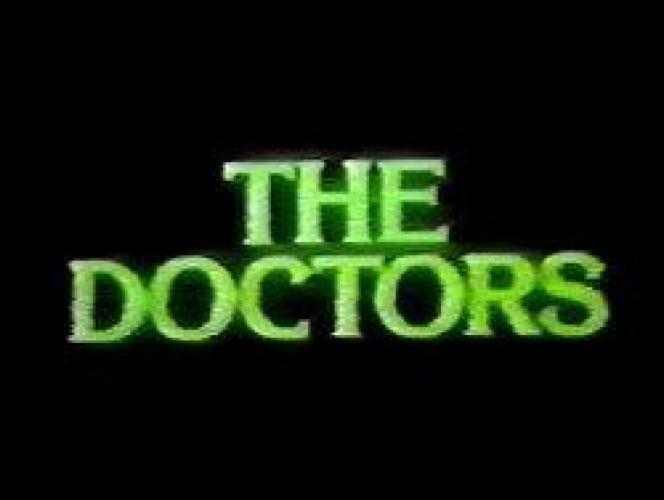 The Doctors was launched on NBC on April, 1st 1963. The series was created by Orvin Tovrov. The show did not start as a soap opera but as an anthology series. The show was cancelled by NBC in December 1982 just short of it's twentieth aniversary. The series won the Daytime Emmy Award for Outstanding Achievement In Daytime Drama in 1972 and 1974. EpisoDate.com is your TV show guide to Countdown The Doctors (1963) Episode Air Dates and to stay in touch with The Doctors (1963) next episode Air Date and your others favorite TV Shows. Add the shows you like to a "Watchlist" and let the site take it from there.